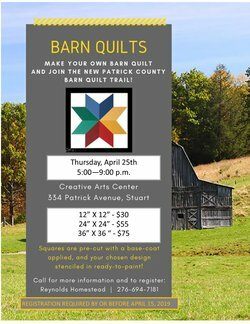 By popular demand, we have another barn quilt class scheduled for Thursday, April 25th, 5:00 PM to 9:00 PM at the Creative Arts Center, 334 Patrick Avenue, Stuart, Virginia. This class is sponsored by Reynolds Homestead/Virginia Tech. Squares are pre-cut with a base-coat applied, and your chosen design stenciled in ready-to-paint! E-mail your design to martinlm@vt.edu no later than April 15th. 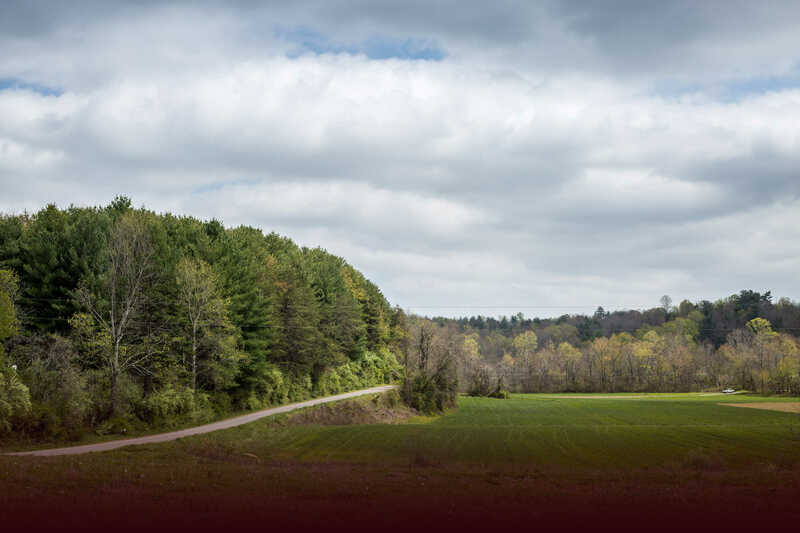 We invite you to join the new Patrick County Barn Quilt Trail. Please register and for more information, please contact Lisa Martin at 276-694-7181.